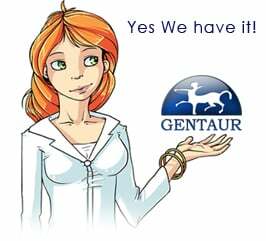 Gentaur antibody-antibodies.com The Marketplace for Antibodies : Several members of the mouse carcinoembryonic antigen-related glycoprotein family are functional receptors for the coronavirus mouse hepatitis virus-A59. Several members of the mouse carcinoembryonic antigen-related glycoprotein family are functional receptors for the coronavirus mouse hepatitis virus-A59. Mouse hepatitis virus-A59 (MHV-A59), a murine coronavirus, can utilize as a cellular receptor MHVR, a murine glycoprotein in the biliary glycoprotein (BGP) subfamily of the carcinoembryonic antigen (CEA) family in the immunoglobulin superfamily (G.S. Dveksler, M. N. Pensiero, C. B. Cardellichio, R. K. Williams, G.-S. Jiang, K. V. Holmes, and C. W. Dieffenbach, J. Virol. 65:6881-6891, 1991). Several different BGP isoforms are expressed in tissues of different mouse strains, and we have explored which of these glycoproteins can serve as functional receptors for MHV-A59. cDNA cloning, RNA-mediated polymerase chain reaction analysis, and Western immunoblotting with a monoclonal antibody, CC1, specific for the N-terminal domain of MHVR showed that the inbred mouse strains BALB/c, C3H, and C57BL/6 expressed transcripts and proteins of the MHVR isoform and/or its splice variants but not the mmCGM2 isoform. In contrast, adult SJL/J mice, which are resistant to infection with MHV-A59, express transcripts and proteins only of the mmCGM2-related isoforms, not MHVR. These data are compatible with the hypothesis that the MHVR and mmCGM2 glycoproteins may be encoded by different alleles of the same gene. We studied binding of anti-MHVR antibodies or MHV-A59 virions to proteins encoded by transcripts of MHVR and mmCGM2 and two splice variants of MHVR, one containing two immunoglobulin-like domains [MHVR(2d)] and the other with four domains as in MHVR but with a longer cytoplasmic domain [MHVR(4d)L]. We found that the three isoforms tested could serve as functional receptors for MHV-A59, although only isoforms that include the N-terminal domain of MHVR were recognized by monoclonal antibody CC1 in immunoblots or by MHV-A59 virions in virus overlay protein blot assays. Thus, in addition to MHVR, both the two-domain isoforms, mmCGM2 and MHVR(2d), and the MHVR(4d)L isoform served as functional virus receptors for MHV-A59. This is the first report of multiple related glycoprotein isoforms that can serve as functional receptors for a single enveloped virus. YSRTMCA2194 Coronavirus, Feline Infectious Peritonitis Virus (FIPV) type 1 & 2, Canine Coronavirus (CCV), Swine Coronavirus Transmissable Gastroenteritis Virus (TGEV), Ferret Coronavirus, Clone FIPV3_70, Mab ant 0.25 mg.